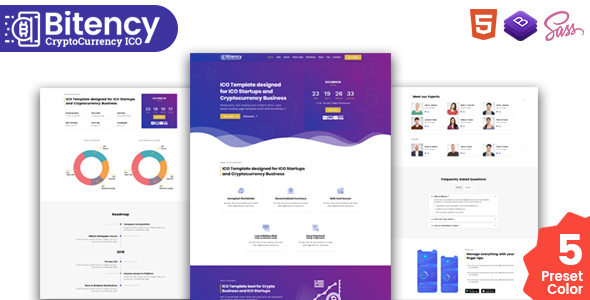 If you are looking for template to build website for a Cryptocurrency business that is launching an ICO then Bitency template is best choice for you. Bitency template is specially design for ICO startup, Cryptocurrency Agencies, ICO launching etc. Bitency template is responsive, fast loading and modern html / sass based landing page template build with bootstrap 4. NOTE : Some images are for preview only and are not included in the package.